In the design of an industrial facility, engineers develop process flow sheets, set up project specifications and design or select equipment. The design drafters use the information supplied by engineers and equipment vendors and applies the knowledge and experience gained in the office and field to design and layout the facility. 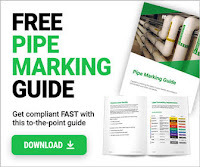 In the design and layout of an industrial complex, thousands of piping drawings are needed to provide detailed information to the craftsmen who will construct the facility. Facility design and layout must meet the customer’s expectations as well as comply with safety codes, government standards, client specifications, budget, and start-up date. The piping group has the main responsibility for the design and layout of the facility. Drafters and designers must coordinate their efforts with the civil, structural, electrical, and instrumentation groups throughout the design process. The piping group must provide each design group the necessary information needed to complete their part of the project and have the complete set of plan and construction drawings finished on time. During this time, it may be necessary for designers to visit the plant construction site to establish tie-ins or verify information necessary to complete the design. Many projects will be designed for construction in other countries, offering the designer opportunities for travel. Each project presents drafters and designers with opportunities to expand their skills and knowledge of the field of piping design. Engineering and construction companies provide the design and layout of a facility. Many clients award the engineering and design phase of a project to one firm and the construction phase to another. While many operating companies have a small engineering staff who handle the day-to-day needs of changing and updating drawings, such as adding a pump or other small equipment, they do not have the manpower to design and engineer a grassroots plant or major add-on. Total plant design and construction may require hundreds of workers and may entail years in the design and construction of the plant. Operating companies are the clients who engage in the day-to-day operation of a facility and who seek out the services of engineering and construction firms when expanding existing facilities or constructing a new project. Many operating companies keep a small engineering staff in the home office or at the plant job site. Designers are exposed to the day-to-day operations of the facility and follow the construction of small projects. This situation may require that the designer have a broad range of knowledge and skills, as he or she often may be asked to design and lay out the complete project. The design may prepare foundation, steel, and piping drawings as needed, and may even do some electrical and instrumentation design when required. Students must have a good background in basic drafting before pursuing a job in the field of pipe drafting and design. Students should have good manual drafting skills related to line quality and freehand lettering. At the same time, students must acquire the necessary background to use the latest software tools such as AutoCAD and PROPIPE, which allows them to be more productive. As students advance, they will use a variety of sophisticated software packages, ranging from basic CAD software to 3D solid modeling. commonly used on major elements of the drawing such as pipe and lettering. Background components such as equipment, foundations, support structures, and dimension lines are typically drawn with a .5mm lead. One cannot stress enough the importance of quality line work and lettering. Manual drawings are constantly slid in and out of the file drawers and run through blueprint machines. This requires that lettering and line work be neat and of good quality to maintain clarity of dimensions and callouts. There are many different CAD software tools on the market today. Many engineering companies require their designers to know and use several different CAD software tools. Engineering companies must be prepared to accommodate the client’s preference of CAD programs. In today’s marketplace, the pipe drafter and designer should learn how to use AutoCAD and MicroStation. These two CAD programs are widely used by engineering firms in the United States and throughout the world. As with CAD programs, there are several piping software programs on the market today. Engineering firms must be responsive to the needs and preferences of their clients. Software developers steadily develop, revise, and refine programs to meet the demands of engineering and design firms. As with any business each software developer tries to incorporate the special features and amenities into their software package that will attract potential users. Often clients will dictate that all bid packages submitted for a project shall be completed using a particular piping software program. Most piping software packages provide the end user with the ability to develop three dimensional computer models of the completed facility. Software packages such as AutoPLANT, PDS, and PDMS, among others, have the intelligence to create either 2D or 3D drawings. Please note, we do not host any material and these are being shared from links found online. If anyone has objection with this, kindly email at ankit@pipingguide.net. Proper action shall be taken within 48 hours.